If You're New to Couponing, Here Are Some Must Have Tools! We add over 1,000 followers to our blog and chat groups each week. We commonly hear from people that have just started couponing and really aren't sure where to begin. Of course, the Sunday newspapers are still a great place to start when looking for coupons, however that's just the tip of the iceberg! 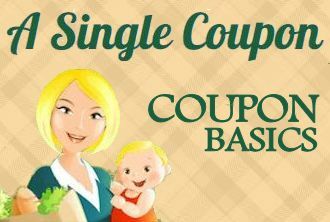 A Single Coupon also offers the most popular printable coupon providers on our Coupon Resource Center website including coupons.com, RedPlum, SmartSource, Savings.com and Hopster. Company Facebook pages are also great places to find coupons, as well as company websites! TIP ► Set up a separate email account for your couponing activities to keep your regular email from getting bombarded with offers and reminders from companies. ► CLICK HERE TO SIGN UP FOR Bettycrocker.com! ► CLICK HERE TO SIGN UP Pampers Rewards! ► CLICK HERE TO SIGN UP FOR Pillsbury.com! ► CLICK HERE TO SIGN UP FOR ReadySetEat! ► CLICK HERE TO SIGN UP FOR Tablespoon.com! Here are some other tools that are more about saving AFTER your shopping trip. Most require you to scan or submit a photo of a receipt to receive savings. ► CLICK HERE TO SIGN UP FOR Checkout 51! ► CLICK HERE TO SIGN UP FOR Ibotta! ► CLICK HERE TO SIGN UP FOR SavingStar! Also make sure you sign up for store loyalty cards for sale prices and instant savings! Enjoy!